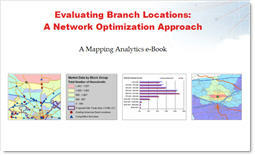 In order to safely move forward on a new branch location suggested by a board member, an $8 billion bank asked Mapping Analytics to model the expected performance. The model revealed the prospective location offered ample deposit potential. However, a previously unconsidered site located only 3 minutes down the road offered 40% more in deposit potential, caused less cannibalization on other branches in the network, and carried a total net deposit increase $14 million higher than the original location being tested.